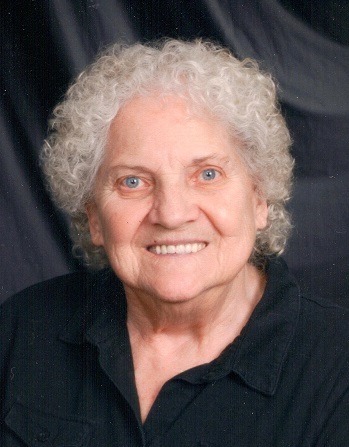 Yvonne E. Visser, age 88, of Maple Plain passed away on Wednesday, April 10th, 2019 at her residence. She was born on March 31, 1931 near Crawford Lake the daughter of Lawrence W. & Edythe A. (Dixon) Ramthun. On June 25, 1959, Yvonne E. Ramthun and Harry E. Visser were joined in holy marriage in Rockford, Minnesota. She was formerly employed in seasonal work at The Flower Farm. Yvonne belonged to The Lyndale Lutheran Church. She enjoyed fishing, hunting, shopping, traveling and gardening. Survived by loving husband: Harry E. Visser; further survived by brothers: Lawrence F. “Sonny” Ramthun of Big Lake & William J. (Susan) Ramthun of Mound; brothers-in-law, sisters-in-law, nieces, nephews, other relatives and many friends. Preceded in death by her parents Lawrence W. & Edythe A. (Dixon) Ramthun and by a sister-in-law Dorothy Ramthun. Funeral services for Yvonne Visser were held at 11:00 A.M. Saturday, April 13th, 2019 at Lyndale Lutheran Church in Lyndale. Pastor Sheryl Bousu officiated. Interment Lewis Cemetery in Maple Plain. A visitation was held at the church on Saturday April 13th from 9:00 A.M. till 10:30 A.M.
Connie Guillet, Robert Ramthun, Melissa Mellima, Gail James, Aaron Ramthun and Marc Guillet. Casket Bearers: Brent Visser, Gary Hines, Mark Murto, Glen Ramthun, Eric Guillet and Burton Ramthun. Yvonne was a joy to work with at the flower farm near Delano, very friendly.